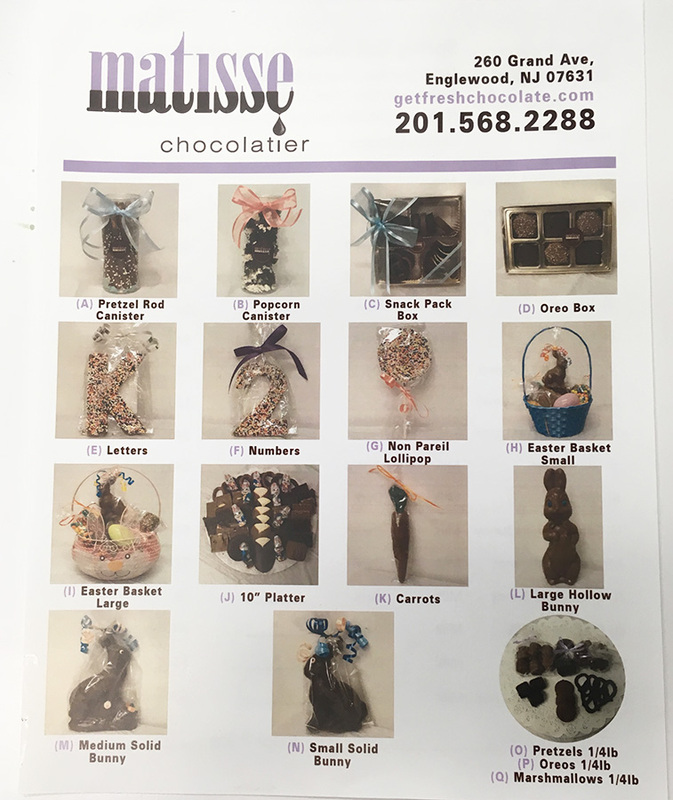 Matisse Chocolatier helps schools, groups and civic organizations throughout the state of New Jersey fulfill their fundraising needs by selling our delicious line of gourmet chocolate products. Host “The Best Tastin’ Fundraiser on the Planet” with Matisse Chocolatier’s gourmet chocolates! If your School / Group / Civic Organization is interested in hosting a Matisse Chocolatier fundraiser, call us at 201.568.2288 and we’ll be happy to discuss your fundraising needs with you. We can help you meet or exceed your fundraising goals. See a sample sell sheet below for a fundraiser we held in the Spring for a local High School Prom Fundraiser.